"Yrg Alms" is a masterwork from Njiqahdda. Completely lush and expansive and a very immense work as well, filling the entirety of the CD, so no Njiqahdda fanatic will be disappointed with this work. The album features everything from blazing fast black metal to psychedelic doom shoegaze memerism.Mastered by Drucifer, known for his work with such artists as Leviathan and Xasthur. 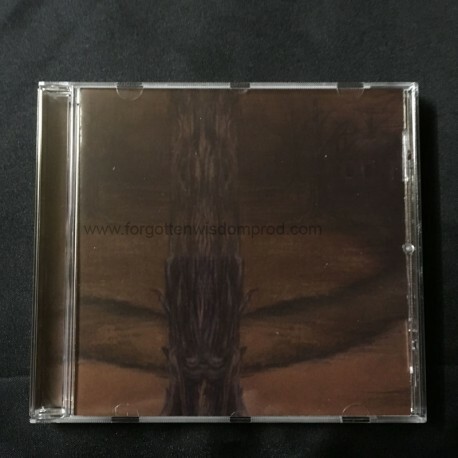 The Yrg Alms cover artwork was created by Rebecca Clegg (famous for her work with Nachtmystium, Xasthur, Krieg, Urfaust...). The "Yrg Alms" CD package features full-color 8-page panoramic booklet with gold ink overlays on the booklet and tray card.